For many, the Christmas tree-trimming is the center of holiday magic. Whether you host the holidays or travel, have a large family or small, one theme transcends time and location — the need to rest and relax. This year, don’t let decorating feel like a chore. Be reasonable in what you undertake and choose to focus on what brings you the most joy. 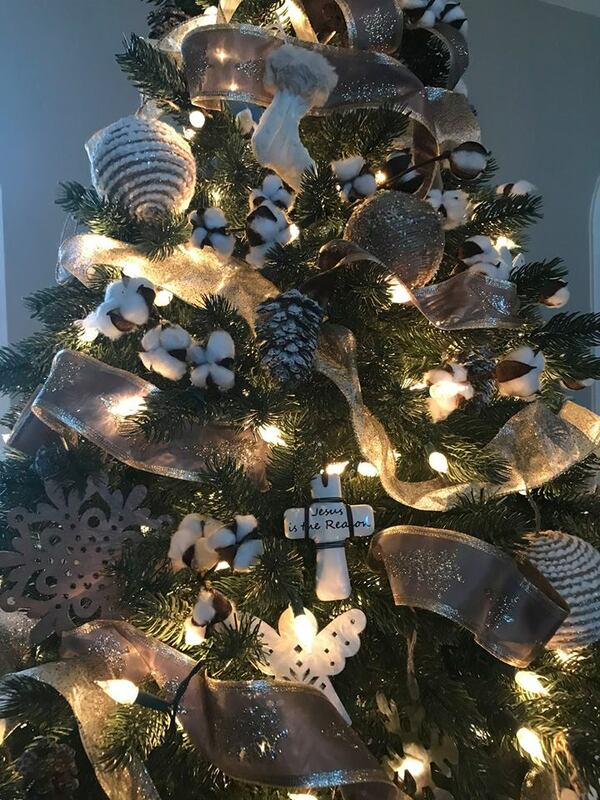 Using one or two colors as a theme for your tree gives an elegant look. Whether you create a traditional tree full of handmade ornaments collected over the years, or more of a “decorator” tree with careful planning and attention to detail, these 7 tree-trimming tips will help you create your best tree. Tip One: Make the top the star. While it’s usually the last thing people decorate, it should be one of the first things you consider. 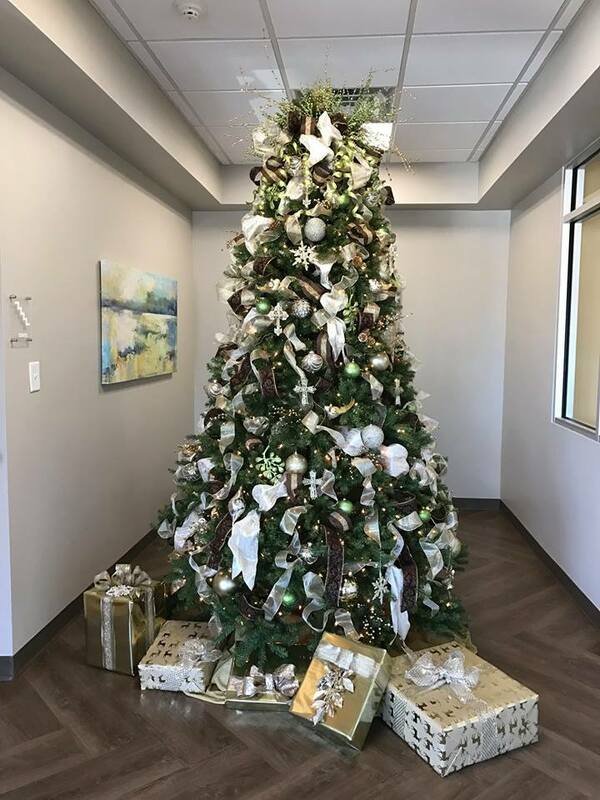 From a traditional angel or star to modern sprigs of colorful decorative branches, be sure to accentuate the top of your tree. For a decorator look, limit yourself to 3-4 colors and 1-2 finishes. 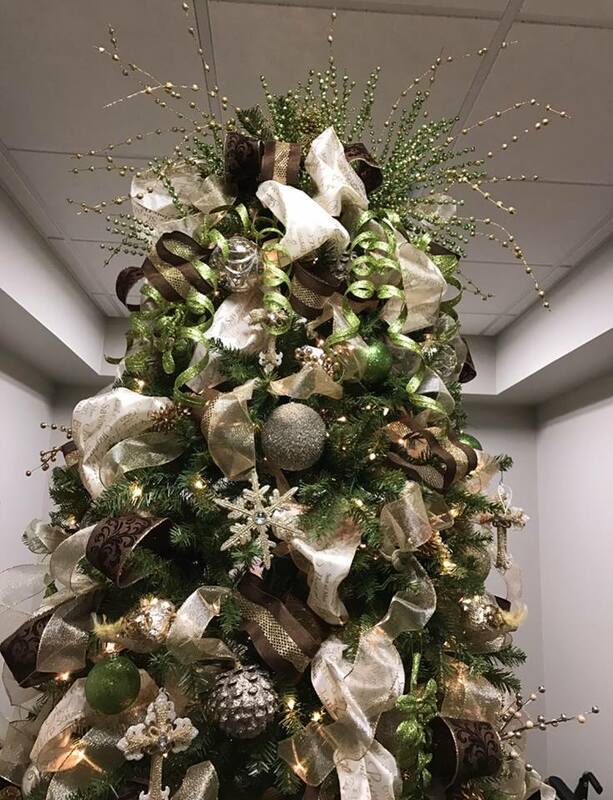 This tree’s elegant color scheme is cream, chocolate brown and spring green, and the finishes are all gold. Tip 2: Set the Foundation. The foundation of a tree is its’ shape and color. Make sure all the lights are working and you have enough for the size of the tree. Now, consider your color scheme. For the decorator look, limit yourself to 3-4 colors and 1-2 finishes. In the tree above, the color scheme is elegant and consists of cream, chocolate brown and spring green, with all gold finishes. 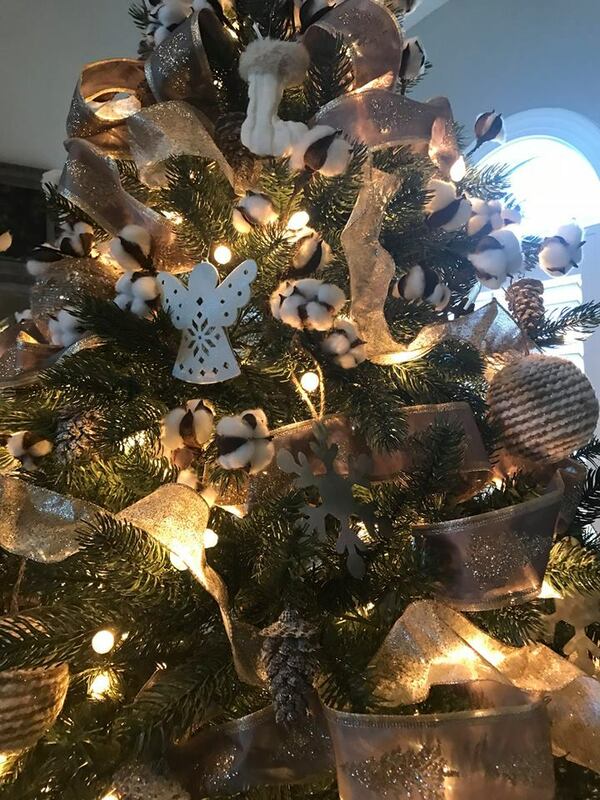 In the tree below, the color scheme is more organic, and features white, natural wood tones and taupe with silver and metal accents (although it looks warmer/more golden when the lights are on). 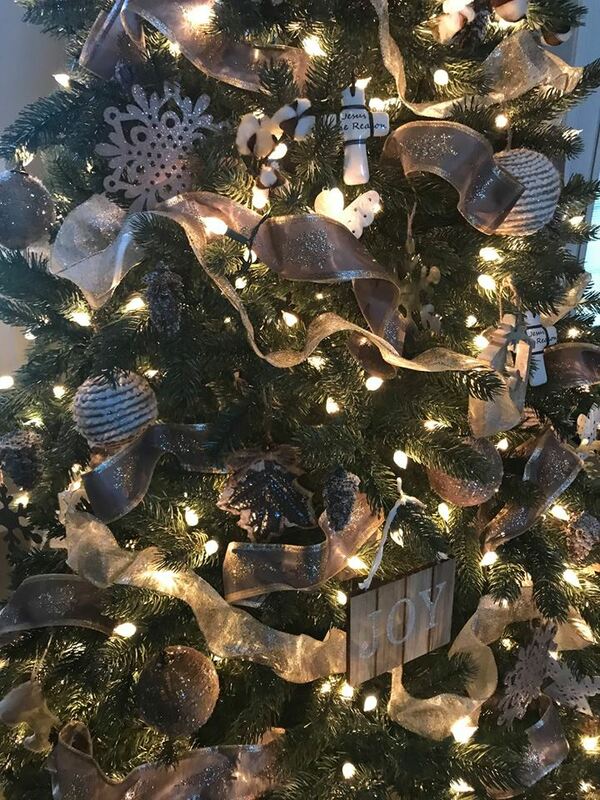 This tree’s color scheme is organic, featuring white, natural wood tones and taupe with silver and metal accents. Tip 3: Use ribbon and greenery to fill. Whether your tree is natural or artificial, there will inevitably be gaps in the branches where you can see the trunk. Twisting ribbon and wrapping it in and around those areas helps create a fuller look and set a color theme. I do this before I place ornaments and prefer wired ribbon for its ability to be molded. At the very end, after you’ve placed all your ornaments, go back and fill any empty spaces with decorative picks and/or more loops of ribbon. 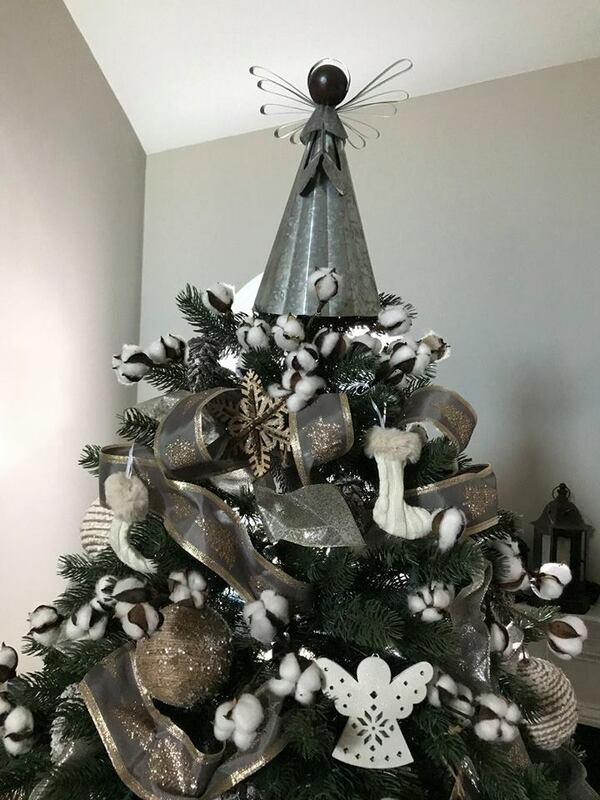 In this tree, I filled in gaps with floral picks that look like natural cotton branches, as well as pinecones dusted with white sparkles. To give your tree balance, use the largest ornaments near the bottom and the smallest ones at the top. Tip 4: Hang ornaments from the top down, smallest to largest. When you hang the largest ornaments near the bottom and the smallest ones at the top, it makes them easier to see and appreciate. I also tuck some ornaments farther into the tree and pull others out to hang near the end of branches to provide visual depth. I recommend green ornament hooks; they disappear and let the ornament shine. Choose ornaments that reflect you and your family and bring you joy. Tip 5: Make it meaningful. Even if you’re creating a decorator tree, choose ornaments that reflect you and your family and that bring you joy. It might be angels, scotty dogs or a favorite college or team — as long as its meaningful to you, the result will be beautiful. Don’t get so busy shopping, cleaning and cooking that you forget to make time to appreciate your creation. Tip 6: Sit back and enjoy your tree. Time shared around the Christmas tree are memories in the making. Tip 7: Make sure you have comfortable seating. Today’s recliners come in styles, shapes and sizes to fit everyone. 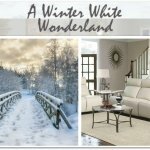 From plush fabric to sumptuous leather, a chair or sofa is a gift that keeps giving all year long. If you or family members find yourself squished in a typical recliner, you’ll love our Big and Tall options. 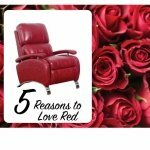 If you have small children or just find rocking to be relaxing, our Rocker Recliners and Swivel Glider recliners should be on your gift list. Here’s wishing you both a happy and RELAXING holiday.